We’ve both used the over 30 combined years in the San Diego market place to our advantage, helping our clients meet critical project deadlines, or in filling their open-and often extremely difficult to find-positions. In early 2013, we launched CDM Technology on our own because of our unique combination of sales and recruiting exposure. We both pride ourselves on taking the time to fully understand our client’s needs and then provide them with the appropriate resources. We work with the companies who are looking for the *best* talent that they otherwise can’t find themselves. We know who we are, and we don’t pretend to be anything that we’re not when it comes to finding you short term, project based, or long term resources. It’s our years of experience building a trusted network of resources that our clients are tapping into. The fact that we take care of our clients and candidates in such an exceptional manner…well, that just makes the experience of working with us feel so seamless. 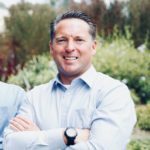 As a San Diego local and graduate of the University of San Diego class of 1996, Devlin has firmly planted his roots in the community he was raised in because he loves being close to home and his family. Right out of college he was recruited to work for a large international recruiting firm where he flourished in his first professional challenge. Seeking a challenge of recruiting specifically in the Information Technology space, he moved on to another International firm, and when Chip was a hired a few years later, they would form a friendship and business partnership that has succeeded until this very day. Devlin resides in the North Pacific Beach area with his family and in his free time can often be found paddling out in the ocean looking for a great wave. Chip moved to San Diego in 1994, and never left. A graduate of San Diego State University, he started his career here with a multi-billion dollar international recruiting firm in 1999. After 5 successful years there, he was recruited by another global, multi-billion dollar IT consulting services and recruiting firm where he met what would become one of his best friends, Devlin Millay. 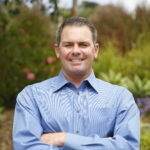 In 2005, he and Devlin spearheaded the launch of a San Diego office for another national firm. Over the 7.5 years that followed, they built a multi-million dollar book of business that was consistently one of the best Technology practices in the company. Chip resides in Encinitas with his family and in his free time can often be found on the golf course. Ivan is a marketing professional and lifestyle blogger who has an extensive knowledge and experience in digital and social media. He is always on the hunt for creative projects that could convert his many passions into business ventures. 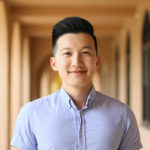 He moved to sunny San Diego when he attended UC San Diego back in 2010, and is now taking on the world of digital marketing. Ivan excels in utilizing his social media and inbound marketing skills to increase brand awareness, create a community, and ultimately, help jump start small businesses. Ivan is also the co-founder of a fitness brand, the editor for an online music blog, and a contributor of a lifestyle magazine. When he is not busy with his entrepreneurial ventures, he could be found somewhere checking his phone for new followers, or deep in thought about the next potential viral caption for his social media content. Nick was born and raised in Michigan but now calls San Diego home. He started his staffing career with a large international recruiting firm in 2013 which is when he found his true calling. In just over 4 years working in the technology staffing space Nick has worn many hats including working purely as a contract recruiter, as a recruiting team lead and has launched a successful Direct-Hire placement division both producing on and managing a team of “full-desk” staffing professionals. Through some networking (and a stroke of luck) Nick met Chip and Devlin and quickly become the newest member of the CDM Technology family. 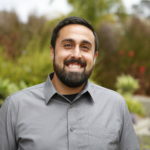 Nick now resides in Clairemont with his wife and son and in his free time can be typically be found enjoying the San Diego sun at the beaches.